I just spent a week in Austin, TX. I had a fantastic time and I really didn't want to leave. Who knew? 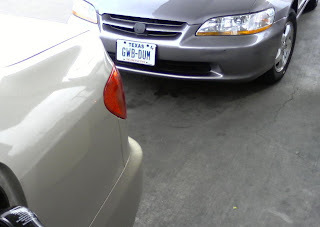 And as if I needed and more proof of how fun Texas is, while gassing up the car Sunday evening to go home, this car pulled into the filling station right behind me.